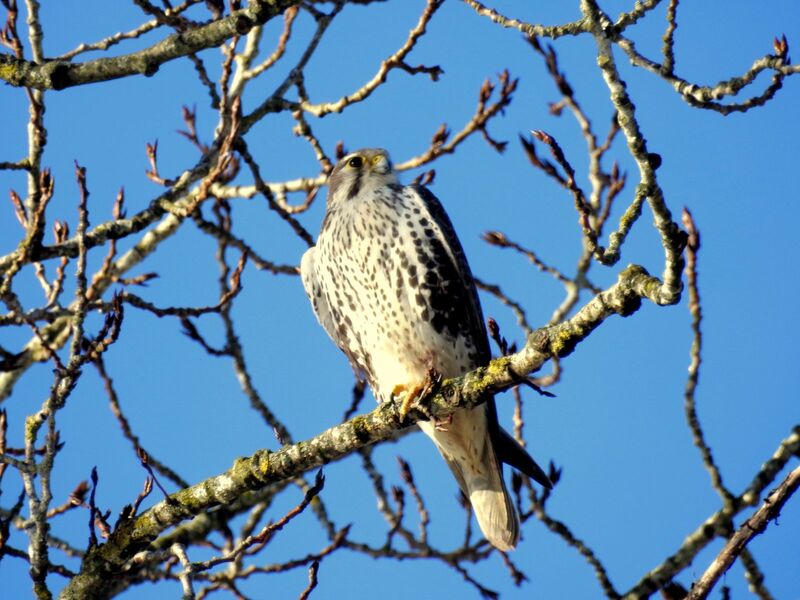 There has been a Prairie Falcon in rural Pitt Meadows since November. This is likely the same bird that visited the area in the previous winter. I had made a few trips out hoping to see it with no luck. This time I decided to spend most of the day, if necessary, to see the bird. 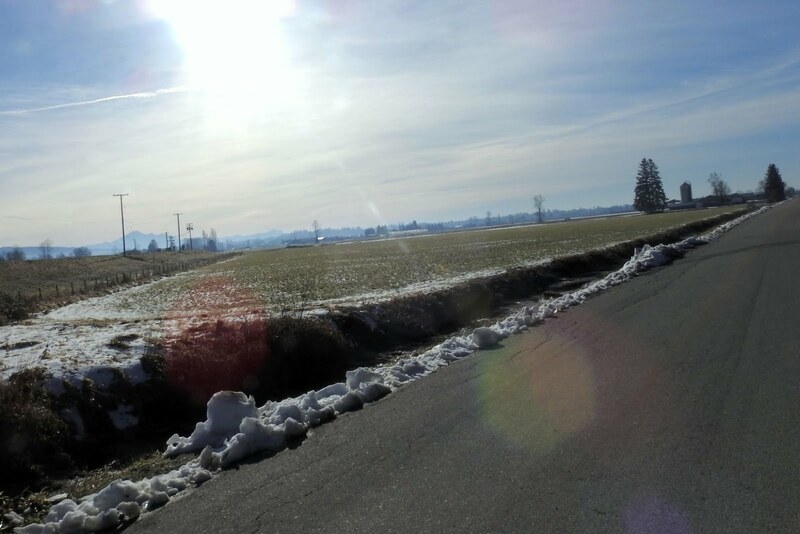 I arrived around 8:00 AM on the holiday Monday and saw nothing on my first circuit. This shot shows the nature of the area, the Alouette River is left of the area shown. I decided to try walking the dyke along the river and met up with another birder. 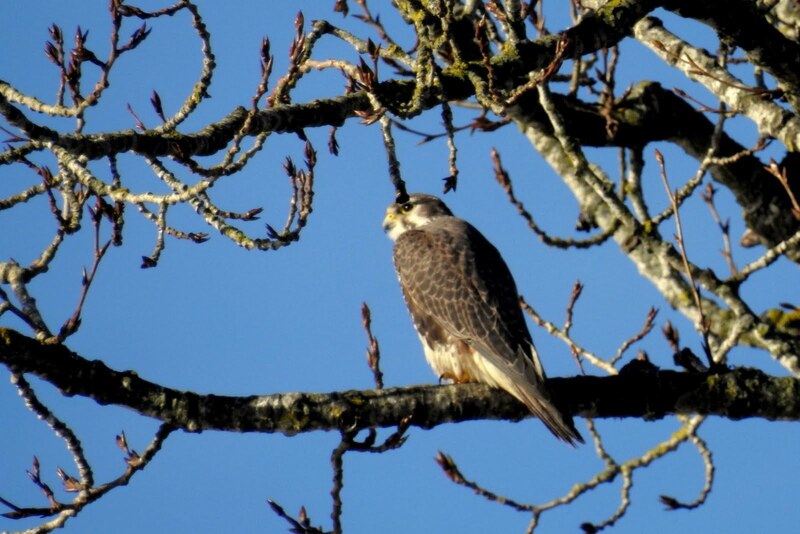 A short while later we found the Falcon. The sightlines were not great, but I got some record shots. 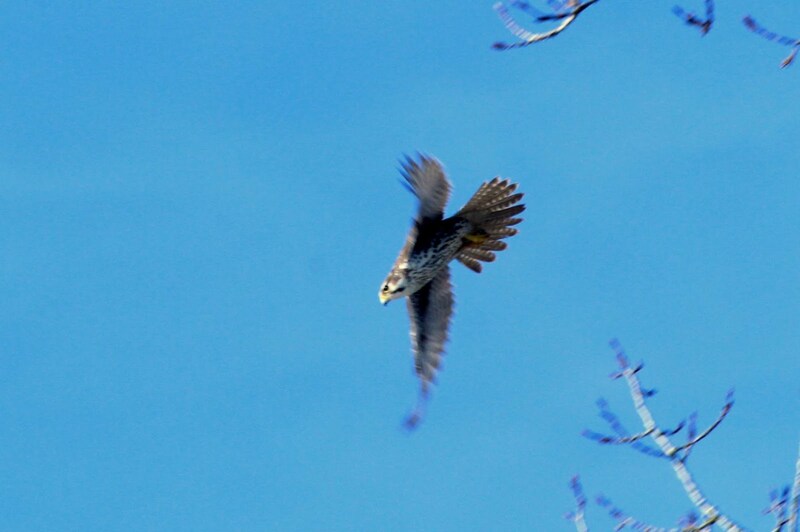 The bird flew out and I got this shot as it left. It headed east towards the farmland and we followed in that direction. By this time we'd met up with three other birders. We returned to the rural location on Connecting Road (nice name for a rural road) and waited. 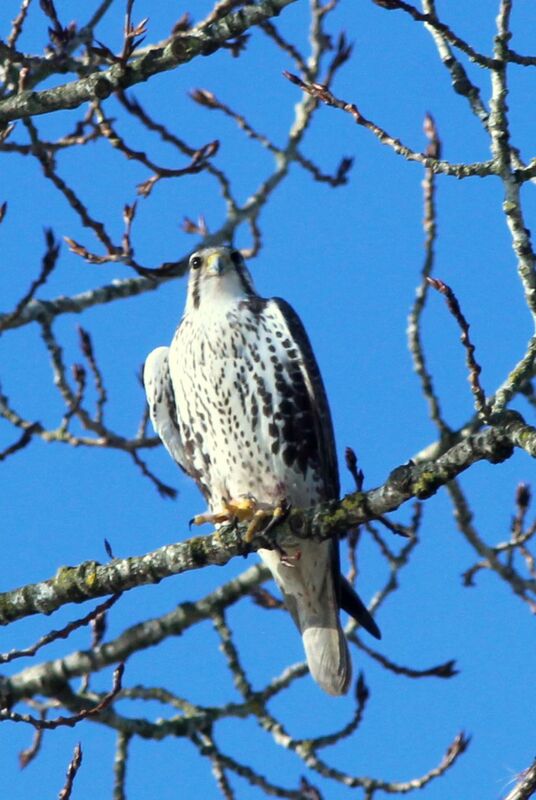 Eventually the Falcon appeared in a large bare Cottonwood tree. I took this last shot with the Nikon, a little less sharp, but nice zoom in. I was told by one of the other birders that there was a good chance to see an American Kestrel if I headed for Pitt Lake. I'd seen one along this route in 2016 a couple of times. 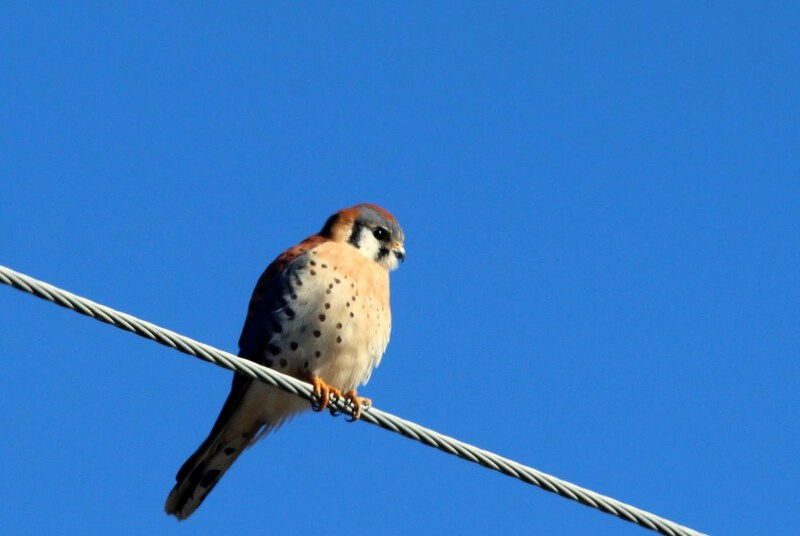 I took the turn towards Golden Eagle golf course and sure enough, I encountered this Kestrel on a telephone wire. 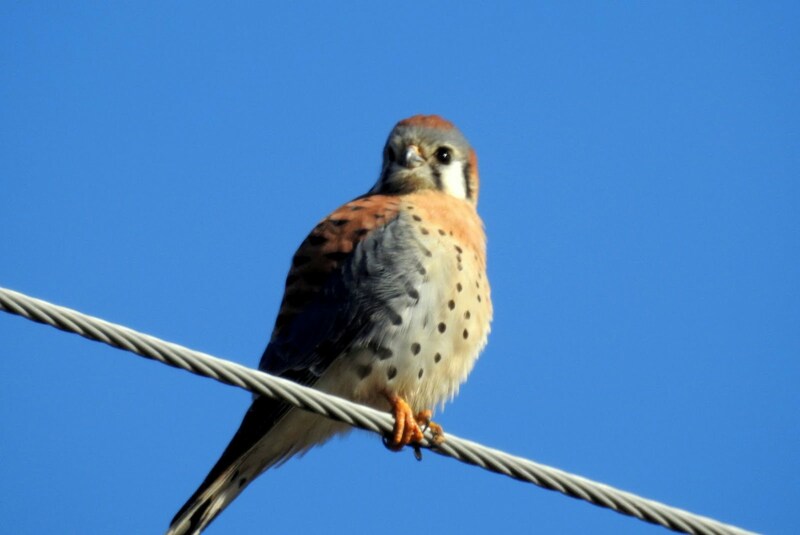 Kestrels are the smallest of the North American falcons and are quite common in the Okanagan. The habitat in Pitt Meadows seems to be to their liking as well. I was close to Pitt lake and decided to go and check it out. It was Family day and the sun was shining. It would be busy, but I'm glad I went. I was lucky and found a parking spot where someone had just pulled out. 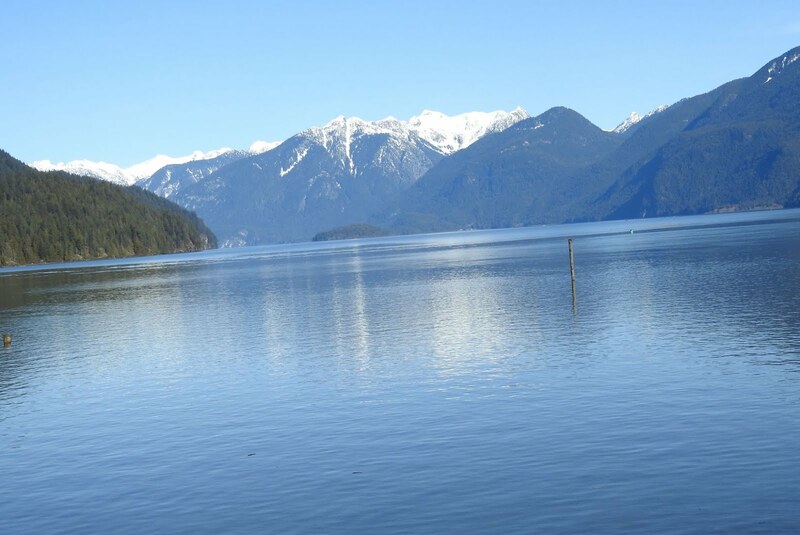 When the lake came into sight, the view was worth the visit. I ran into another birder and he told me that he had seen Canvasback Ducks far out on the Lake. Since I had my scope, I decided to take a look. 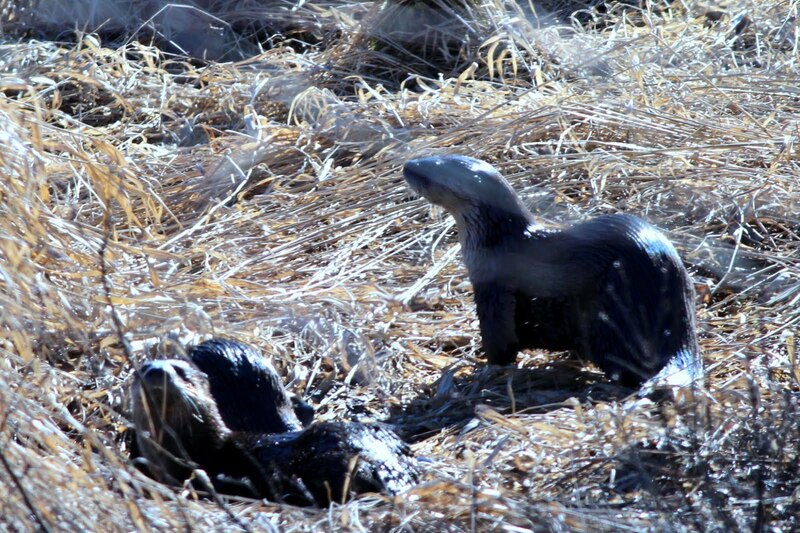 The first creatures I spotted were not birds, they were a group of River Otters moving around in the marshy area before the lake. 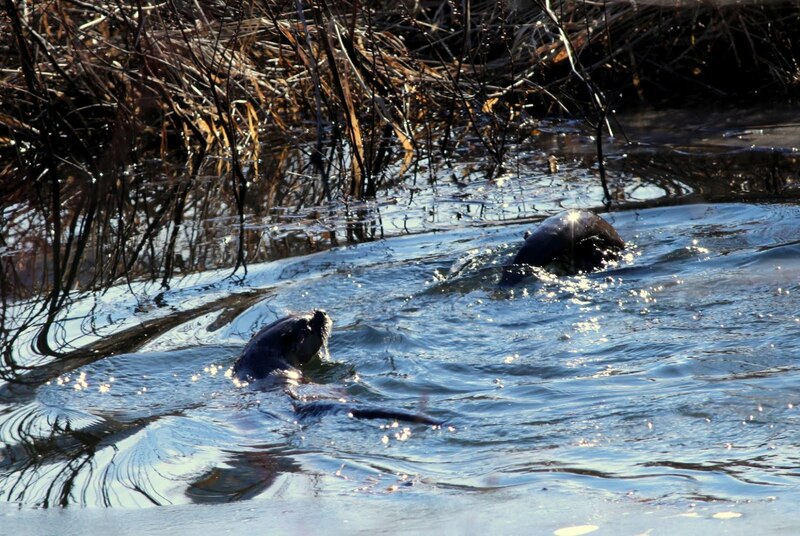 Here they are on dry land, moving towards the lake. I started scoping for the Canvasbacks, but could not see any. But near a group of Bufflehead were a pair of Mute Swans. 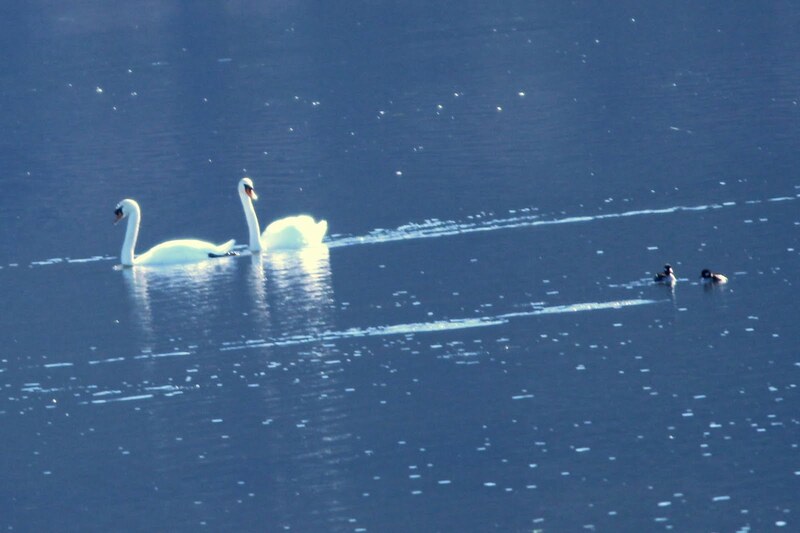 These are not our native Trumpeter or Tundra Swans, but a European import. Most people are more familiar with this species than the others. They certainly dwarf the ducks in the background. 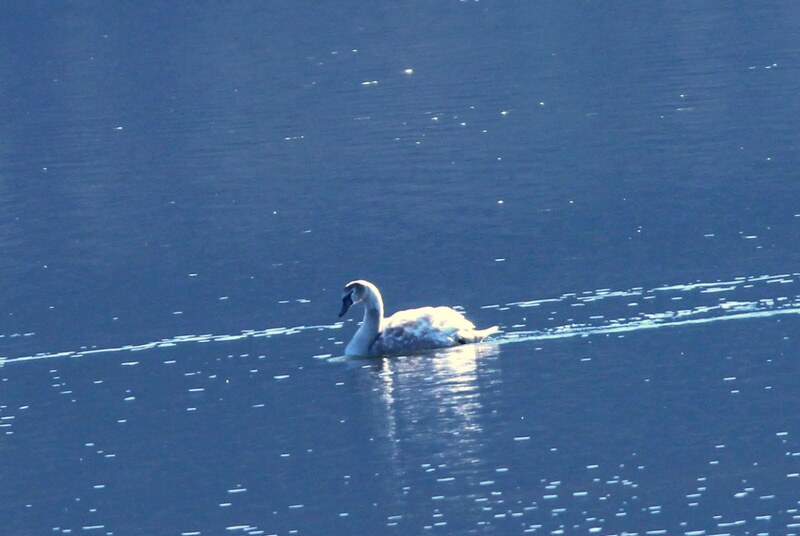 Another Swan was nearby, a juvenile Mute Swan (also known as a Cygnet). By this time I was tired of birding and headed for home. It had been a productive long weekend.